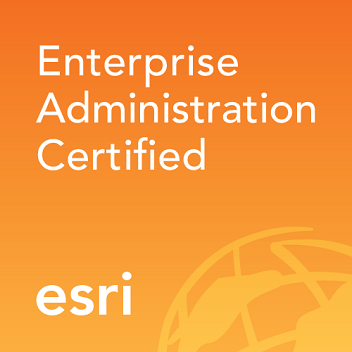 Earners of the Esri Enterprise Administration Associate certification have proven experience operating and supporting enterprise solutions. Earners will be proficient in best practices, able to apply configuration changes to meet production needs, perform continuous monitoring and maintenance, troubleshoot common Esri technology issues, and communicate software and support needs. Earners will demonstrate knowledge of operating and supporting enterprise solutions and working with Esri products. Take and pass the Enterprise Administration Associate certification exam.